The seller states all systems are operational. Boat has low hours and is well maintained. This boat is winterized and in closed storage. 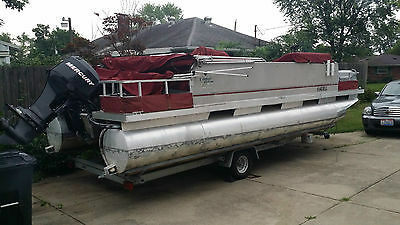 The trailer was added at a later date and is also in nice shape and was custom built for the boat. The seller has receipts for new outdrive. The boat has AC, no generator. Amazing stereo upgrade with 6 new JLAudio speakers, JL Sub, and all powered by a 8 x 800 watt JL amp. Blue LEDs make a great look. 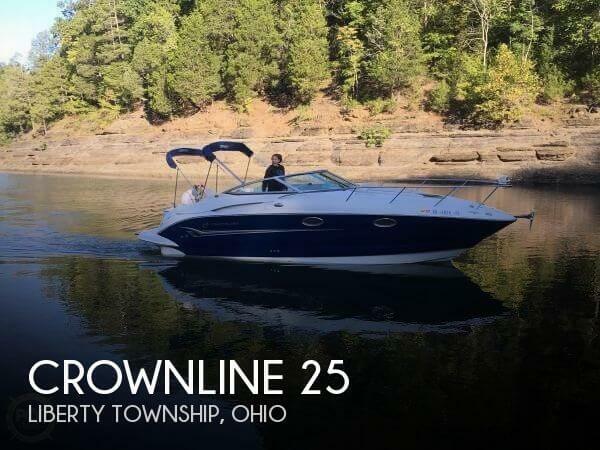 Stock #165323 2004 CROWNLINE 250 CR EXPRESS CRUISERVOLVO PENTA TRAILER INCLUDED If you are in the market for a cuddy cabin, look no further than this 2004 Crownline 250 CR, priced right at $42,800 (offers encouraged). 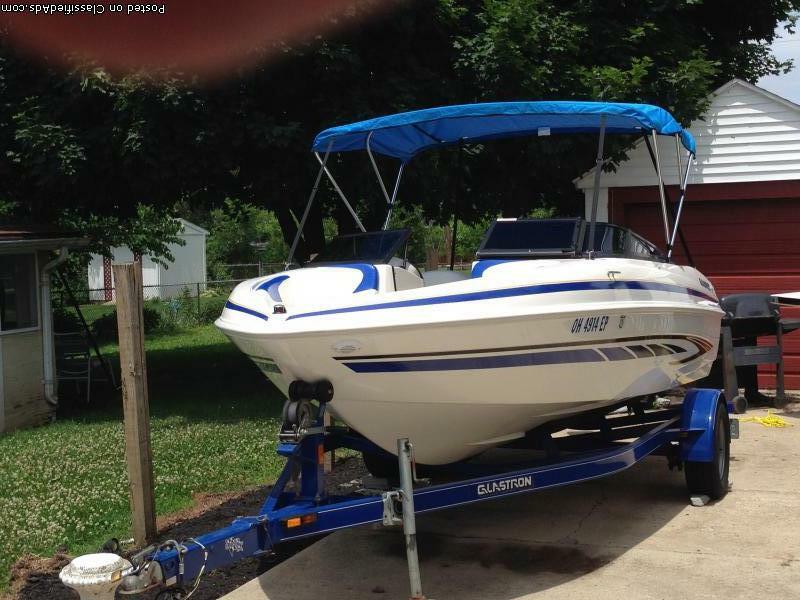 This boat is located in Liberty Township, Ohio and is in good condition. She is also equipped with a Volvo Penta engine that has only 267 hours. Reason for selling is too many activities with family. 1995 Starcraft Tournament 180 This 1995 Starcraft Tournament 180 is an amazing fishing boat. Comes with more live-wells/bait-wells than you will know what to do with. Laid out for serious trolling or casting. This boat was made for a serious fisherman. 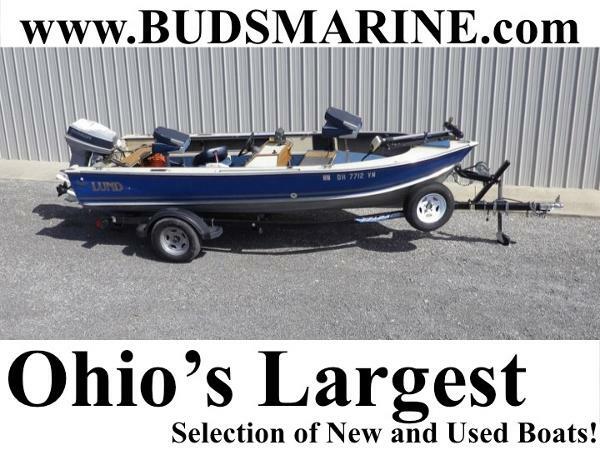 Stop in at Bud's Marine and check this fishing boat out! 1986 Lund Mr Pike 16 This 1986 Lund Mr. Pike 16 is powered by an Johnson 48. 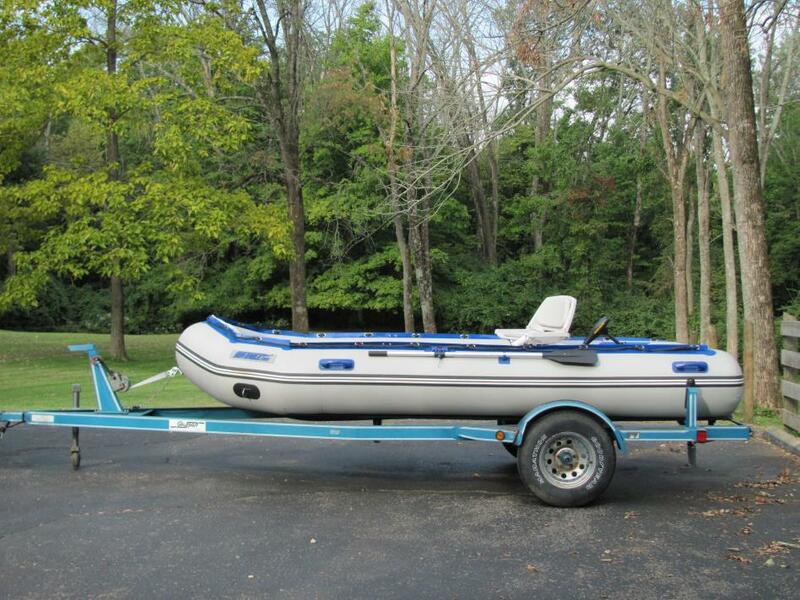 This boat is great to get out on the water at an great price. Built to last, it is easy to tell the quality of construction that goes into these boats. 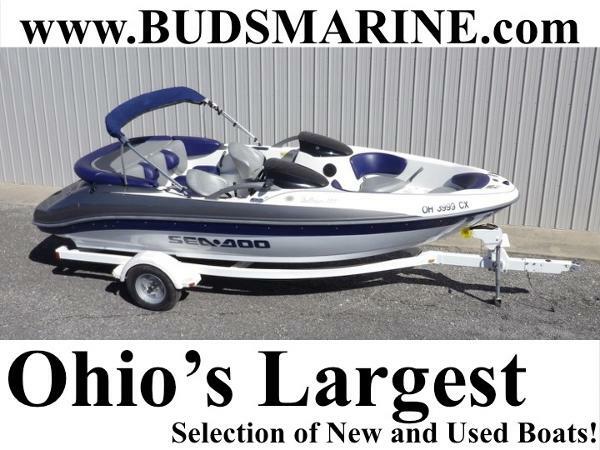 Come check this boat out at Bud's Marine. 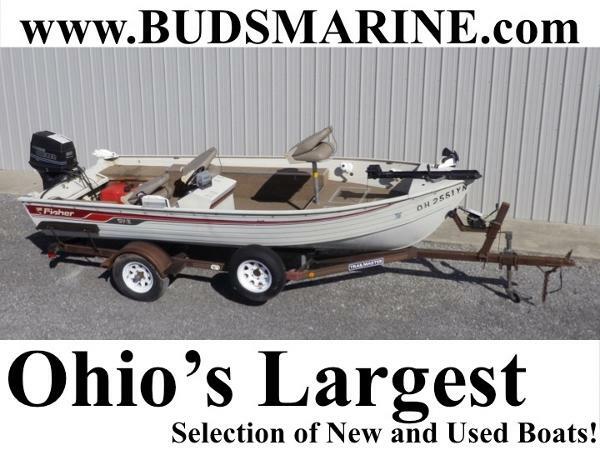 1986 Fisher 16 1986 Fisher 16' w/ 1992 Evinrude 60hp Bud's Marine--Largest selection of new and used boats in the state of OhioIf you're looking for an easy boat to get into an hit the water for some fish, this Fisher 16 foot aluminum boat with an Evinrude 60 hp will get you there. 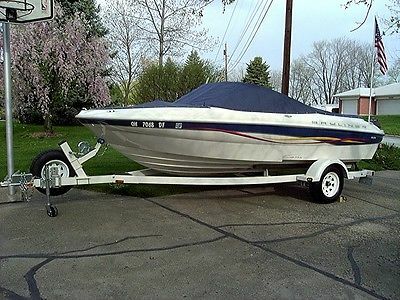 Very clean all around boat with a ton of storage. Comes with fish finder. 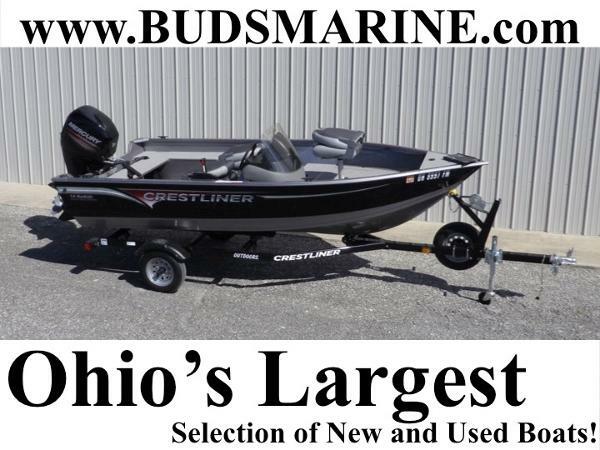 Come check this boat out at Bud's Marine. 2015 Crestliner 14 Kodiak Used boat with little to no time on the unit! 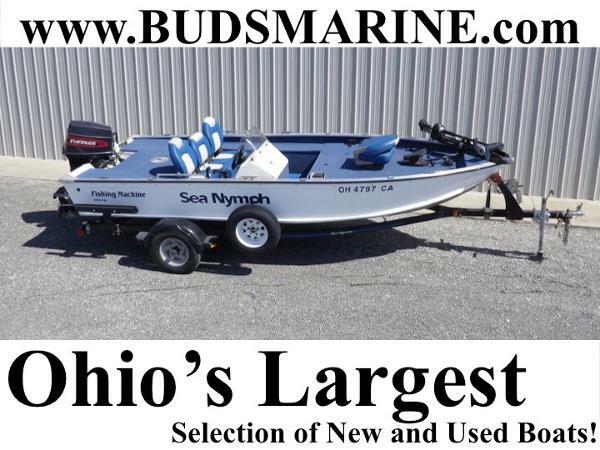 Come check this fishing boat out quick, it won't last long! Trusted by fishing lodges and serious anglers, Kodiak deep-V fishing boats get the job done with rock-solid reliability and performance. This lineup takes you to the frontier and back, safe and sound. And with six total size and configuration options, the Kodiak line runs deep. 2004 Sea Doo Sportster LE 150 This Bombardier Sea-Doo Sportster LE 150 is in great shape. 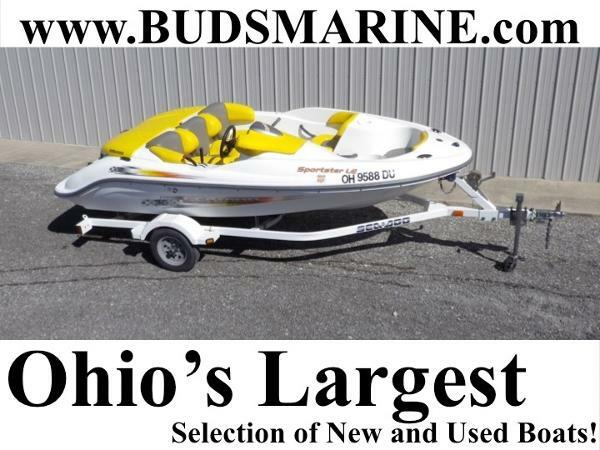 Great for cruising around the lake or watersports. 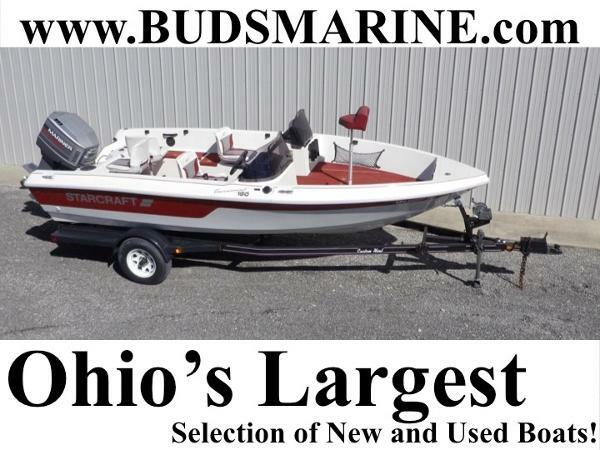 Come check this boat out at Bud's Marine. 2015 SunChaser Classic Cruise 8520 Lounger The SunChaser Cruise 8520 Lounger pontoon with PTS Tube is a great choice for accommodating larger groups with its maximized seating capacity and all-day amenities, including a flip-up changing room with space for an optional Porta Potti, a removable table with two table bases and a color-coordinated bimini top. This pontoon boat is champagne in color. MY DAD IS SELLING BECAUSE HE IS DONE WITH THE WATER DUE TO AGE. HAS LOTS OF AMMENITIES AND HE"S REPLACED OR SERVICED ABOUT EVERYTHING EXCEPT THE CARPET. IT NEEDS A LITTLE POLISHING BUT IS TOTALLY READY FOR THE WATER. HAS ONBOARD CHARGER FOR THE BOAT BATTERIES AND ALTERNATOR FOR ENGINE BATTERY CENTER CONSOLE WITH ALL GUAGES MORSE ENGINE CONTROLS NEW FUEL PUMP WITH ALL NEW HOSES 36 GALLON GAS TANK COASTGUARD EQUIPPED MIN-KOTA TROLLING MOTOR LIVE WELL COOLER DEPTH FINDER FISH FINDER 2007 BRAND NEW ENGINE WHICH IS CALLED A MERCURY BIGFOOT WHICH IS MADE IN JAPAN BY YAMAHA AND IS 4 STROKE, 4 CYCLE AND FUEL INJECTED. ALL FILTERS ARE EASILY CHANGABLE BY ANYONE. IT EVEN HAS ITS OWN OIL DIPSTICK FOR THE ENGINE OIL. THE BIGFOOT MAINLY WAS MADE FOR PONTOONS BECAUSE OF THE HEAVY GEARING AND IT ALSO HAS AN OVERSIZED PROP. COMPLETLEY SERVICED THIS YEAR. FRESH GAS AND READY TO GO. EVEN HAS COMPLETLEY RESTORED TRAILER WHICH COST $ 1800.00 CASH. 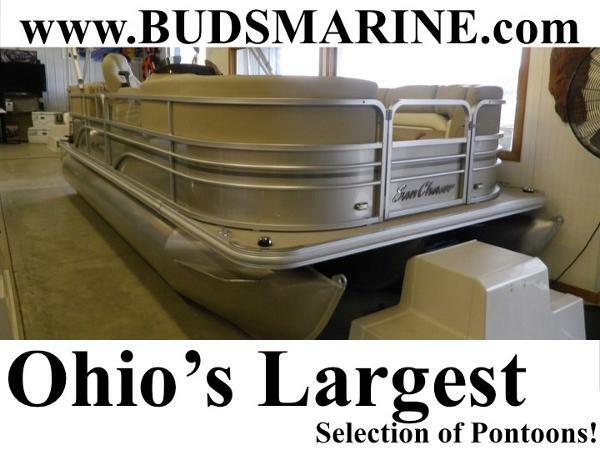 IF YOU'RE LOOKING FOR A GREAT PONTOON BOAT WITH NO HEAD ACHES OR SURPRISES THIS IS THE ONE FOR YOU. MAKE REASONABLE OFFER AND IT COULD BE YOURS TODAY. THANKS FOR LOOKING. ANY QUESTIONS JUST ASK. ALL EXTRA EQUPMENT NOT MENTIONED COMES WITH BOAT AND TRAILER AS A PACKAGE DEAL.